Do you have any plans for the big game? Every year we have all of our family and closest friends over no matter who is playing to cheer them along. Of course, we have our own favorite teams that didn't make it but hey, it's the big game!! Our team was Soooooo close though. We missed it by the double doink! My husband yelled OOHHHHH with his hands on both sides of his face. I can honestly say, I have never seen him react like that to anything before. It was awesome to see that intense look on his face. Even though our team didn't make it, we're still celebrating in our family tradition of great company and food!! We love finger foods and the grazing all day. We like to make sure that everyone has their favorites and plenty of it. I have a new love for guacamole and finding new vehicles for that has been a very tasty adventure! One of the most common things to have is the chips and dip category. We like chips and crackers, dips, meats, and cheeses for grown-up lunchable style snacking. Have you heard of RITZ Crisp & Thins? These are a delicious snack that is great by themselves and great with a buddy! They are the perfect mix between a cracker and a chip. They are sturdy enough to stack stuff on top of and flavored deliciously so they can be eaten alone. It really is the best of both worlds with these little delights. These are so many great flavors that everyone will love. The RITZ Crisp & Thins are baked and less fat too. 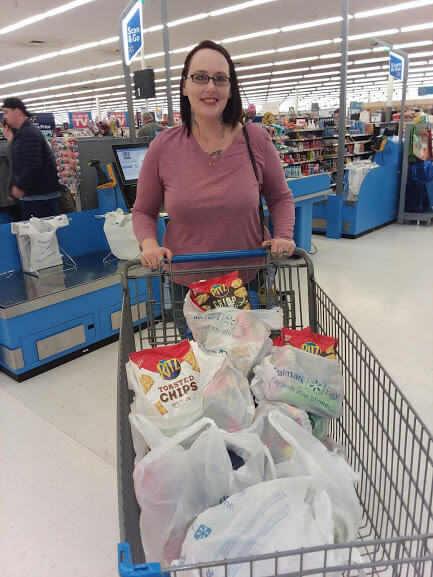 When we went to do some big feast shopping over the weekend, we got the RITZ Crisp & Thins Cream Cheese & Onion and RITZ Crisp & Thins Sea Salt at Walmart. 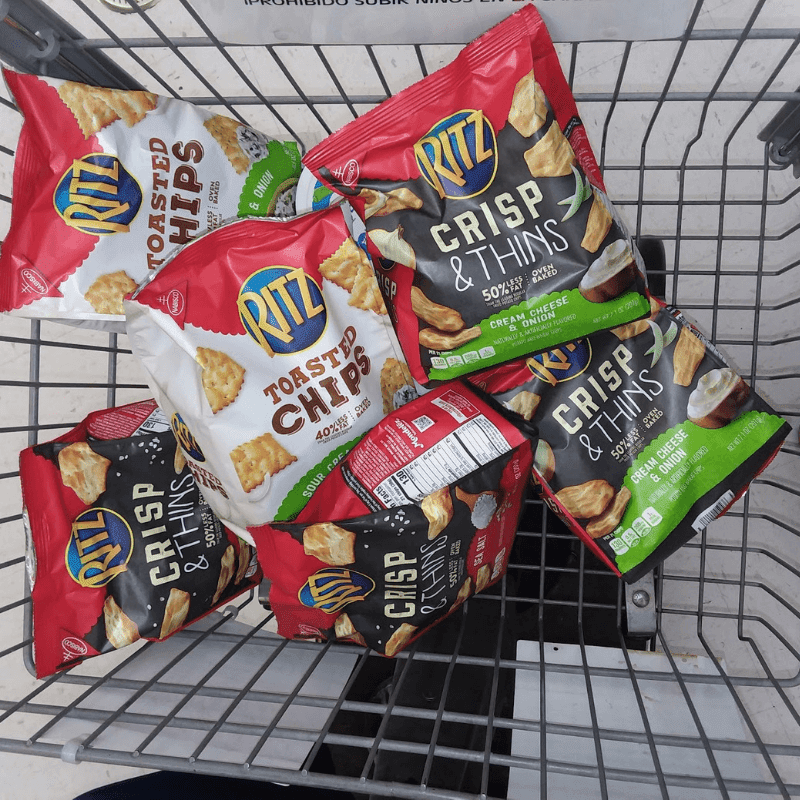 They had a super awesome display for easy shopping so we had to get the RITZ Toasted Chips too!! YUMMY!! Something even better to add to this is the ibotta deal. 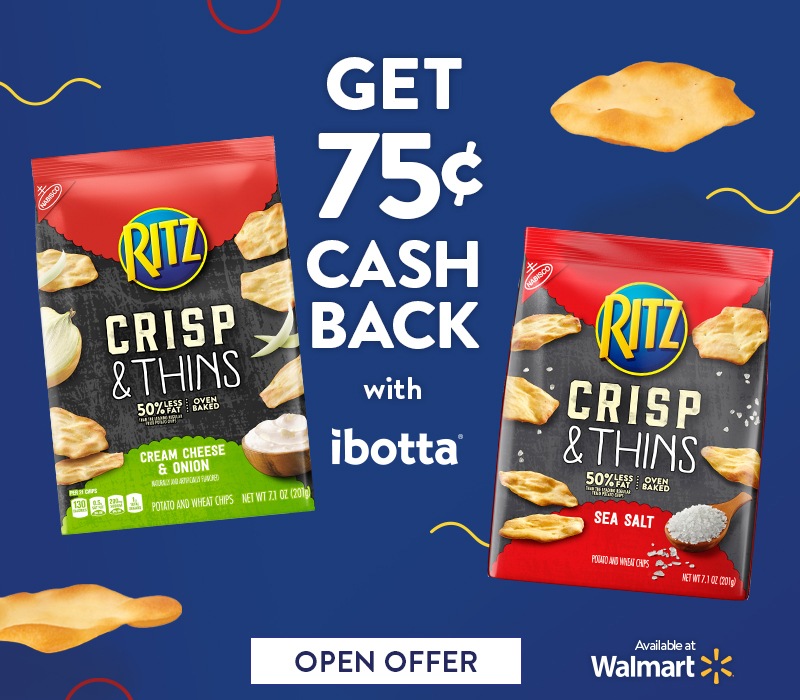 Save $.75 on a variety of RITZ Crisp & Thins. The offer is valid on the following flavors. I can't wait to try them all!! I want to let you know about the awesome giveaway going on too. Enter to win Walmart gift cards!! It ends soon so hurry and claim those entries! What is your menu for the big game day?? 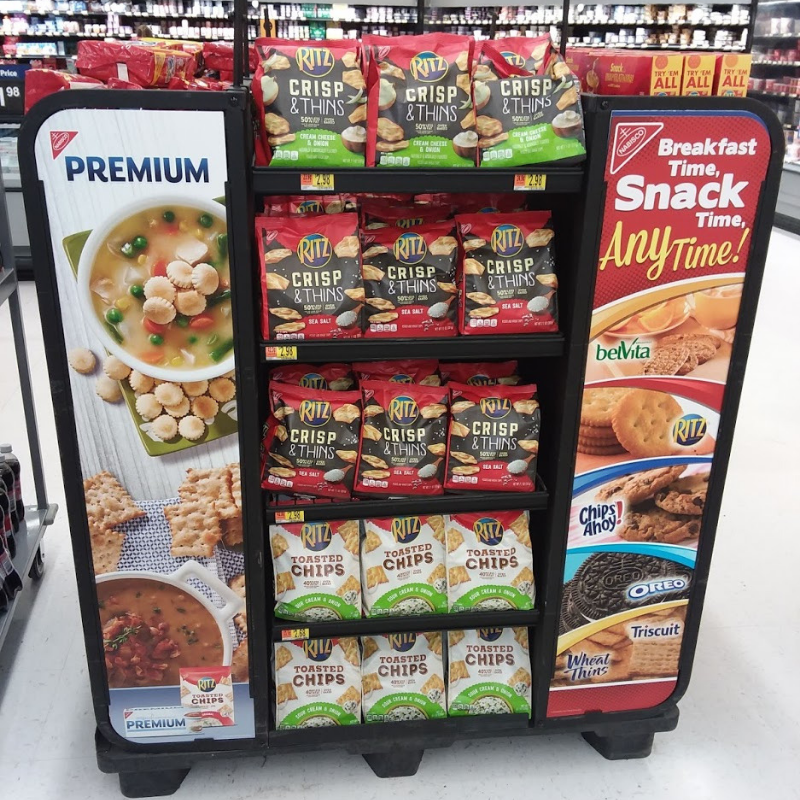 Check out Walmart and RITZ Crisp & Thins for fun party foods and recipe ideas for your big game party! !